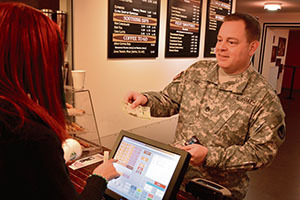 Each year in late February, during Military Saves week, ACS holds events and seminars to promote financial readiness, said Denise Fesel, who manages the ACS financial readiness program. The special victims council is a new program that helps guide sexual assault victims through the complications of the legal system much like the judge advocate general helps with legal proceedings. 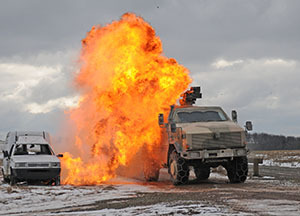 When the heat and flames from an explosion caused by a simulated improvised explosive device blast rocked their Dingo, German soldiers reacted quickly, speeding through the kill zone to safety.